are advantages to configuring the domains to run as services. (see Microsoft support note 193888). The services that start either the application server or process schuler should be made dependent upon the BEA ProcMGR V8.1 (Tuxedo IPC Helper) service, otherwise the domain startup will fail. I have made the PeopleSoft service dependent on both the Oracle database service and the IPC process by making DependOnService a multi-string value. The Dependencies tab of the service properties window shows which services this service depends upon, and which services depend on this service. When the PeopleSoft service was made dependant upon the BEA ProcMgr service, the BEA ProcMgr service also reports that the PeopleSoft service depends upon it. Now, when the PeopleSoft process is started, it will also start the BEA ProcMgr process if it is not already started. 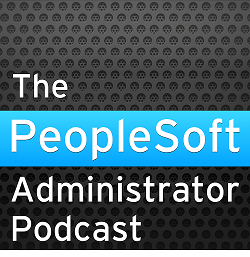 Shutting down the BEA ProcMgr service will also cause the PeopleSoft process to shutdown first.